One of the most common concerns when it comes to haircare is how to fix split ends and maintain hair strong and healthy throughout time. 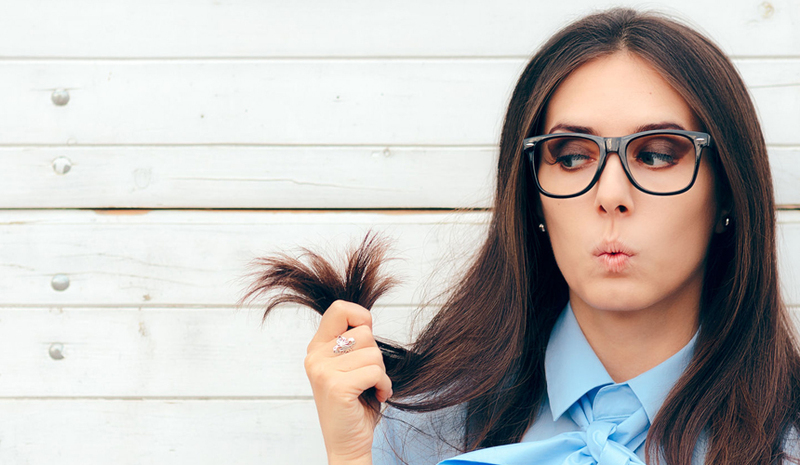 The truth is, there is no easy way to fix the damage already caused to your hair, however there are few things to keep in mind if you want to prevent dry, damaged hair strands and split ends. The most effective way of getting rid of split ends and preventing hair breakage is having your hair regularly cut. Average head of hair grows about a centimetre each month, therefore most short cuts need trimming every 4 to 6 weeks to maintain the style and shape. If you have longer hair, you should cut it every 8 to 12 weeks to maintain shape and healthy ends. Leaving your hair to dry naturally is good for protecting your hair from damage, however this is more practical during summertime when the air is warmer. 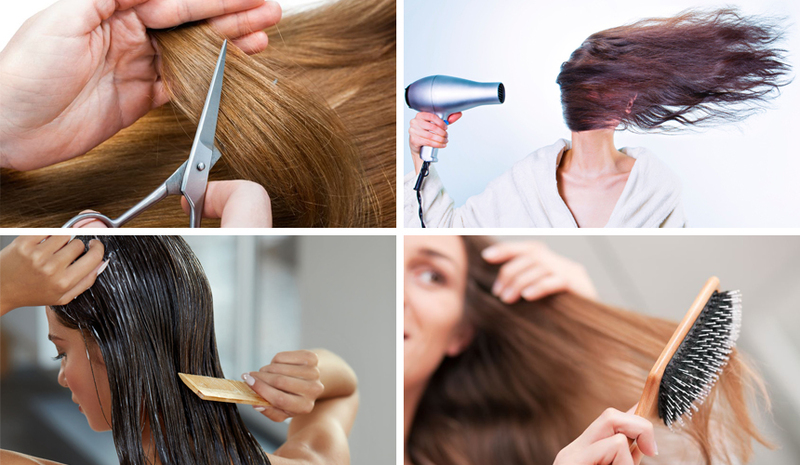 In other months, blow drying your hair every day or second day is normal however use moderate heat. If hair is fine and fragile avoid using hot setting on blow dryer and always choose the cooler one. Using well-balanced shampoos and conditioners is important for maintaining the overall health of your hair and scalp. To prevent split ends, never skip on a conditioner and make sure to apply it directly to your hair ends. Always leave it for a couple of minutes or longer to soak in, and don’t rinse out all of it. Leave some in to detangle and maintain moisture in your hair. The hair is most susceptible to breakage when it’s wet so make sure to be gentle when you comb it. The best practice is to use comb instead of brush, start from the ends and work upwards. If you start combing your hair from roots to tips you risk creating knots at the ends which are hard to detangle without damage. Last but not least, stay away from hair straighteners, curling irons and other hair styling devices as much as you can. Sure, sometimes you need a hairstyle for special occasion or you want to step out out of your usual hair routine, but keep in mind that excessive use of heat styling tools will cause an irreversible damage to your hair and your ends. Watch this video of Phillip Adam giving tips on how to prevent hair breakage and split ends.